The prognosis of stage II colorectal cancer varies. Whether or not to perform adjuvant chemotherapy on patients with stage II colorectal cancer is a controversial issue. The aims of this study were to identify relevant risk factors for the prognosis of stage II colorectal cancer and to evaluate the need for adjuvant chemotherapy. 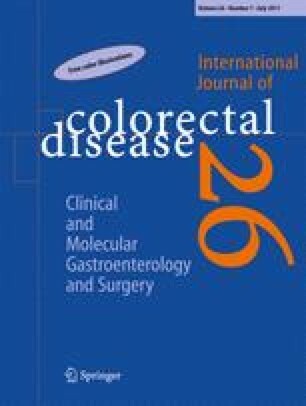 Between January 2000 and January 2005, 443 patients with stage II colorectal cancer who had received radical surgery at the Sun Yat-sen University Cancer Center were retrospectively analyzed. The overall survival rates and survival curves were analyzed using the Kaplan–Meier method and log–rank test. Univariate and multivariate prognostic analyses were performed using the Cox regression model. Patients with certain important risk factors were analyzed according to whether they received adjuvant chemotherapy, and four chemotherapeutic regimens were classified into sub-groups and analyzed. Univariate analyses showed that intestinal obstruction or perforation, type 2 diabetes mellitus, an inadequate surgical margin, and sampling of less than 12 lymph nodes were risk factors that correlated with poor prognosis. Patients with an intestinal obstruction or perforation and insufficient lymph node samples achieved higher 5-year survival rates with adjuvant chemotherapy than with surgery alone. Intestinal obstruction or perforation, sampling of less than 12 lymph nodes, and inadequate surgical margins were identified as risk factors for poor survival, and patients with either of the first two factors benefited from adjuvant chemotherapy. Moreover, the use of capecitabine alone may be insufficient for patients with an intestinal obstruction or perforation. This work was supported by grants from the GuangDong Scientific Planning Project, China (no. 2008B030301119), and GuangDong Medical Research Funds, China (no. B2007071, B2008057).